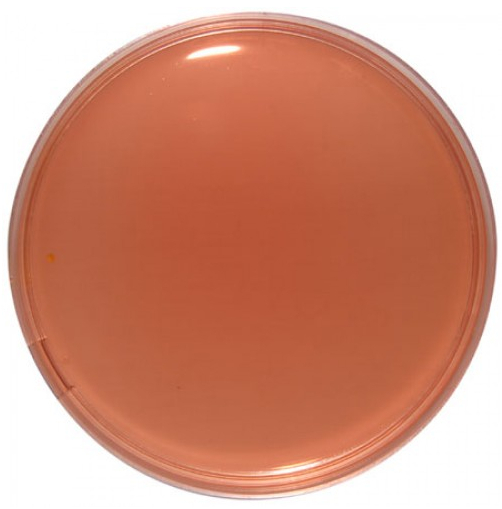 Desoxycholate Citrate Agar is ideal for the investigation of pathogenic enterobacteria. The gram-positive organisms are totally inhibited by the sodium citrate and sodium desoxycholate. Proteus and coliforms are also highly inhibited. Salmonella typhi, S. paratyphi and Shigella types yield colourless (lactose-negative) colonies while lactose positive organisms like E. coli are pink to red. This is due to the neutral red in which presence lactose fermenting bacteria form red colonies while non fermenting will appear clear, with or without black centers. 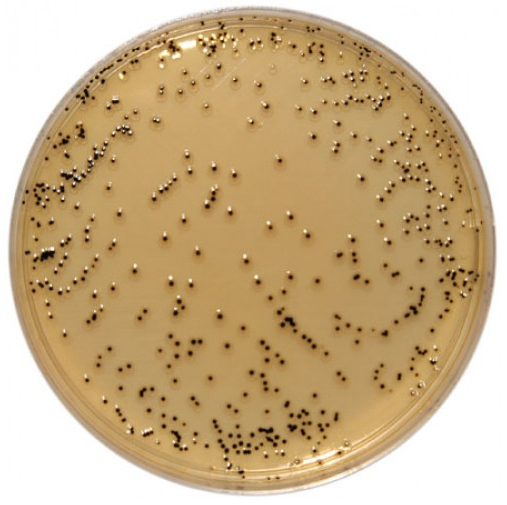 Lactose fermenting colonies mass have a desoxycholate precipitation zone around them.